WARNING: This book is a classic work of detective fiction, which means that part of its potential enjoyment is based on surprising the reader. If you read this review, you are likely to find out more than you may want to know about this book,although the identity of the murderer and other significant details are not revealed. This book is very rare and it is possible that you may never see a copy in your lifetime; you may feel that information about a book you’ll never able to read is worth any potential spoiling of your enjoyment. If you proceed past this point, you’re on your own. Medical student Steven Langston and barrister Roland Straynge are driving through an exceptionally rainy night, returning to London after a Hunt Ball. When they are navigating a double hairpin turn, they are blinded by the lights of an oncoming lorry as they realize there is a motionless car immediately ahead that is standing in the worst possible place for it to be. 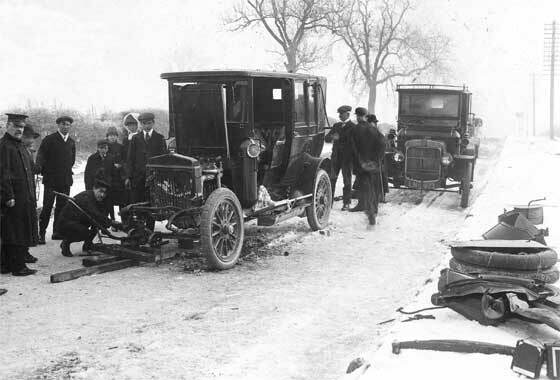 With the help of exceptionally good driving by all concerned, the unavoidable crash is not very serious; Langston and Straynge and the lorry driver escape shaken but uninjured, but soon find a dead man at the wheel of the wrecked Daimler. Except that the late Morton Conyers was dead before the crash, and appears to have died from carbon monoxide inhalation. The late Mr. Conyers is the principal of a very successful company called John Home & Co. — and it will save the modern reader time and effort to think of this company as equivalent to Walmart. When John Home sets up shop in a village, it sells everything and anything, and drives most local merchants out of business. Thus Conyers himself is the object of great hatred among the small businesspeople of the villages into which his company expands. The personal life of the deceased is also tumultuous; his elegant and long-suffering wife has managed to keep quiet about her husband’s many sexual infidelities among women of the lower classes, but her son Lewis has harboured a burning resentment for many years. When they learn of the death, there is a brief but unusually frank exchange between mother and son. Lewis learns almost immediately that his late father’s valet, the ferret-like Strake, has been eavesdropping when Strake makes a crude attempt to blackmail Lewis; Lewis strikes him to the ground in fury and puts him in the hospital. The Conyers’ chauffeur is also resentful of his late employer and had recently given his notice; suspicion also falls on him since it seems as though the Daimler had been tampered with in order to generate a fatal dose of carbon monoxide. Inspector Macdonald of Scotland Yard is called in and immediately begins to investigate not only the family but the economics of the local market town of Strode. From the local squire, Colonel Merryl (and his beautiful daughter Anne) they learn of the social context in which the Conyers family operates. Local opinion of Mr. Conyers is that he was an upstart tradesman and a dirty dog who would not be admitted to the social circles of the upper classes, despite his great wealth; most people felt a little sorry for the innocent Mrs. Conyers and her son, whom Anne describes as “a nicely behaved young man with a pleasant voice and an inferiority complex”), but they were regrettably tarred with the same brush as the father. Opinions in the village are equally strong since it has been learned that Conyers planned to open a branch of John Home in the village. Macdonald interviews the local chemist, the butcher, and other smallholders in the ancient village; since it seems likely they were about to be driven out of business, they were of course resentful and angry. Opposition seems to be led by a nasty local moneylender, Shenton, who boasts that he has managed to acquire property such that Conyers’s plans to open in the Market Square would be frustrated; Shenton wants to keep many of the local businessmen under his extortionate thumb as he always has. But was Conyers out driving the evening of his death to make a secret cash deal with someone for a key piece of property? Some local businessmen were apparently resigned to progress … many were not. And none of the villagers were prepared to put up with Conyers’s buying of the favours of foolish young local women with presents of expensive jewelry. As the investigation progresses, Macdonald realizes that local opinion is that Lewis Conyers murdered his father, but Lewis appears to have an alibi of sorts. Apparently he worships Anne Merryl from afar and, the night of the accident, was mooning about hoping to have a brief word with her at the Hunt Ball (from which the first-chapter drivers were returning, and at which Lewis would not have been welcome). The villagers, however, seem to think that the police are stalling on arresting Lewis, whom they believe is obviously guilty. Emotions in the village begin to run high and Lewis Conyers is attacked by an unknown party and seriously injured. Macdonald has now got a pretty good idea of who committed the murder, based on some perceptive observations of tiny physical clues that will probably have escaped the reader. But emotions are running high and many of the villagers now seem to think the unpleasant Shenton is the guilty party. When one village suspect attempts to commit suicide, possibly prompted by Shenton’s apparent impersonation of a police officer, things come to a head. 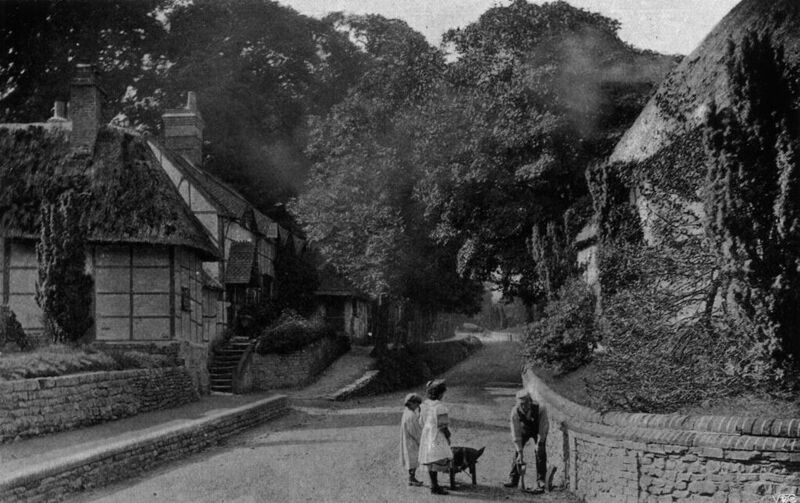 Shenton is taken into custody and is later released, swearing revenge upon the police; the villagers are agog and a little group of vigilantes goes to Shenton’s house to carry out some impromptu investigations in a threatening manner. But Shenton has a store of petrol that gets ignited. One of the little group of villagers dies horribly in the burning building and the fire threatens to spread to the entire village; all the villagers are running around madly rescuing their relations and their possessions. 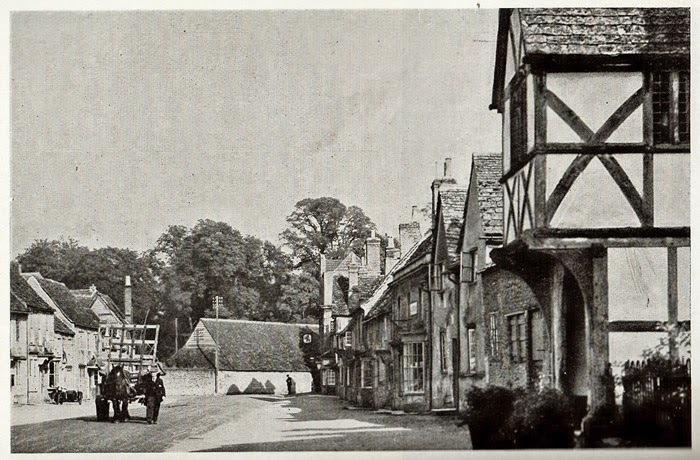 Meanwhile Macdonald is told that Shenton has escaped the fire and the police officer begins to track him through the village; there is an exceptionally tense finish as the two men are locked in a tiny room at the back of a shop as the fire races through the village. But Macdonald breaks free and arrests the murderer, whose identity will probably be a complete surprise to the reader. In the final chapter everything is explained to the local police and the Justice of the Peace — and of course the reader. 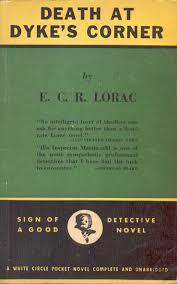 I’m starting to think that E. C. R. Lorac, aka Carol Carnac (pseudonyms for Edith Caroline Rivett, about whose personal life not much is known, and to whom I’ll refer here as ECR) is the Golden Age mystery writer who has been most unjustly neglected by the passage of time (although John Rhode/Miles Burton is a close second). Other writers have a few of their novels that have survived the years, and get the occasional reprint. For instance, one or two of Anthony Berkeley‘s tours de force like The Poisoned Chocolates Case continue to remain in print, and when a reader discovers this great book, s/he has a hint that tracking down other Berkeley titles will be worthwhile. But ECR’s work suffers from two problems; one is that every single volume of her more than 70 titles is scarce, and thus difficult and expensive to obtain (barring a few very late works of no great excellence that you may find occasionally in a secondhand book store), and the other is that there is no single work that stands out and that has been cherished by critics as her finest work. They’re all good, but none of them seems to be great. (I like to call an author like this a first-rate second-rate writer. Not famous, but a really satisfying writer of good books.) ECR’s scarcity and relative obscurity has resulted in many aficionados of the Golden Age of Detection missing out on some very fine mysteries, and I for one would love to see that change. In the meantime, every copy available is frequently snapped up by a collector who cherishes it. And some are so rare that it is speculated that fewer than ten copies exist. This particular volume is satisfying and delightful, for a number of reasons. First of all, it’s a damn good mystery. The solution is intelligent and surprising and you will have the uncommon experience at the end of thinking, “Oh, I should have seen THAT!” ECR does an excellent job of balancing at least two major plot trails, those of the victim’s family and those of his economic victims. It’s rare that a reader enters Act III of a typical mystery without having eliminated at least one major plot trail — here, everything is in play. Unless you are paying an exceptional amount of attention, you will be fooled; I freely confess I was, and I enjoyed that experience. The characterization is excellent. Other volumes of ECR I’ve read tend to focus on the upper classes and merely sketch in the “servants and villagers” who provide information to the plot but nothing really important to the novel. Here, we’re dealing with real people. The shopkeepers are quirky and realistic. ECR has done a good job here on making morally unsound characters like the valet and the moneylender three-dimensional and not merely cardboard characters who kick the occasional puppy to demonstrate their complete wickedness. The flow of this novel is first-rate. ECR’s works occasionally suffer from their slow deliberate pace (as I noticed in my look at another ECR volume, Still Waters, where virtually nothing actually happens in the action of the novel). This volume starts with excitement, lets you get interested in the victim’s family issues, then switches to the larger viewpoint of the village resisting change and starts to build a double line of tension. And I suspect few ECR stories build to such an exciting climax as a manhunt through a burning village that finishes up in the near-death of the detective and the principal suspect and then a final surprise twist in the ending. This novel is really well constructed and built. The writing, as usual, is excellent. ECR has a good touch with dialogue that displays character; people speak in the way that reveals who they are, but it feels more natural than cliched. And the author’s love of the countryside is apparent here. There are no long rambles through farmland and countryside, as sometimes happens in her novels to slow things down for a moment while she gives you the feel of the land; this is because, as seems to be a bit unusual for ECR, nobody in this book is motivated by their love of the land and thus there is no occasion for anyone to get all lyrical about it. 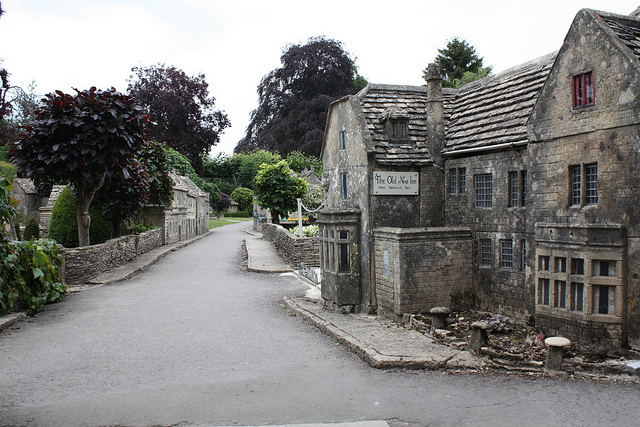 But there’s enough here that we can see the little maze of twisted streets and Tudor-era shops and outbuildings that make up this so-typical ancient village — and we understand what’s going on when Macdonald is racing through its streets and alleys after his suspect. I have to say that the part I most enjoyed here, though, was what I think of as social context. That’s one of the reasons that Golden Age mysteries are so interesting to me — the chance to find out about a way of life that was commonplace not too many years before I was born, but has its bases and mores rooted in systems of social class and interaction that are completely foreign to the modern day. It is not often done as well here as ECR provides, mostly because many Golden Age writers are standing in a position of agreeing, pretty much, with the upper classes. In this volume we find out how people feel about the potential destruction of the traditional village way of life by the encroachment of modern methods of trade and commerce. This means that the villagers will have access to stylish clothing and a wider range of food and entertainment, to the great dismay of the upper classes who think such things are vulgar and unsuitable for their inferiors. They will also be able to have jobs working in stores rather than being destined for domestic service and work on the land. Now, this is something you just don’t see in many works of Golden Age detective fiction. Bucolic “Mrs. Bumble who runs the village shop” is generally portrayed as merely the centre of gossip and the occasional bit of background information about potential suspects — but the unspoken assumption is generally that her store has everything the locals need at fair prices. (Think about why Miss Marple in At Bertram’s Hotel needs to travel to London to visit the Army and Navy Stores.) ECR has put her finger on the oncoming wave of progress that will shortly sweep away this antiquated lifestyle, but the really interesting part to me is that ECR is saying the villagers themselves knew it was coming and didn’t know how to deal with it. There’s a recent thriller by the excellent John Sandford (Shock Wave) that addresses the same issues, when a thinly disguised version of Walmart is moving into a small Minnesota town, and honestly, there’s not much difference between the two sets of reactions. But many Golden Age mysteries merely sketch in this issue by having the local squire bemoan the advent of progress, or Lady Poobah remark that it’s SO hard to get housemaids these days. ECR gives us both sides of the coin and it’s both fascinating and surprising. It’s also rather sobering to think that when the village burns down at the end, it will merely make it more likely that John Home will clear the burned sites and build a modern store immediately. To sum up — good writing, good plotting, great social context, interesting characterization, and a clever and difficult mystery. They don’t write ’em like that any more, and for the life of me I can’t think of why we can’t get our hands on these. The illustration at the top of this post is the cover of Collins White Circle Canada nn#30 — this is “unnumbered #30” from the first year of this company’s publications, 1942. Another way of describing this, based on internal evidence bound into the book, is “C1”. (I can’t confirm this because my copy is, paradoxically, too tight to show this identifier. But I accept this assertion because it’s shared by a number of knowledgeable individuals.) An experienced dealer in Collins White Circle Canada cites it as “Very rare” and suggests that 20 to 50 copies are estimated to still exist. 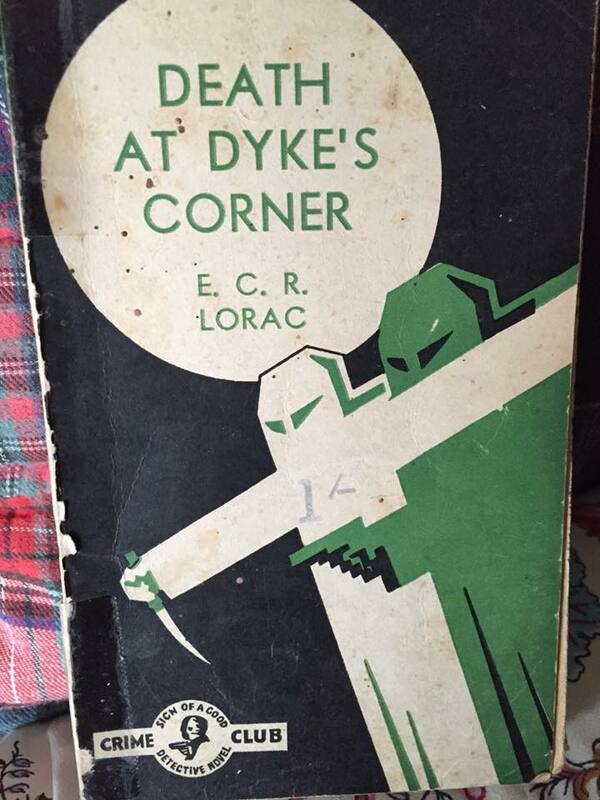 My copy (not the one depicted here), in reasonable condition (VG) with a good binding, is missing a small piece of the spine at the bottom (essentially the word “Lorac”). I think it might bring $60 to $70 at auction but, believe me, it’s not leaving my hands; it’s irreplaceable. This is the only paperback edition (no, it’s not, see below); as of today, there are no copies of the first edition available on AbeBooks. Similar first editions are trading at a base level of $500 US! So this is my favourite edition mostly because it’s the only one I’ve ever seen or I’m ever likely to see. This entry was posted in Brand, Detective fiction, Golden Age of Detective Fiction, Novel and tagged Anthony Berkeley, Carol Carnac, E.C.R. Lorac, Inspector Macdonald, John Rhode, John Sandford, Miles Burton.